Algeria – Issue of new banknotes postponed. 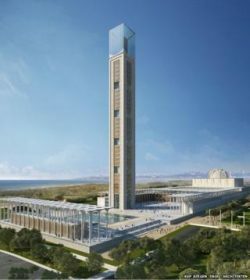 According to local reports the new banknotes of 500 (DZD500.3) and 1,000 dinars (DZD1,000.4) will be issued when the new Great Mosque of Algiers is inaugurated. Courtesy: David Girbau, Rafer Change, Barcelona. Photo: Courtesy BBC News, Algiers.